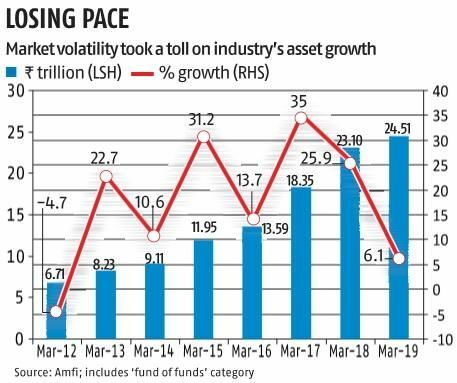 According to data from the Association of Mutual Funds in India, the MF industry's average assets for the March quarter stood at Rs 24.5 trillion, which was 6% higher than the same period in the previous fiscal year. 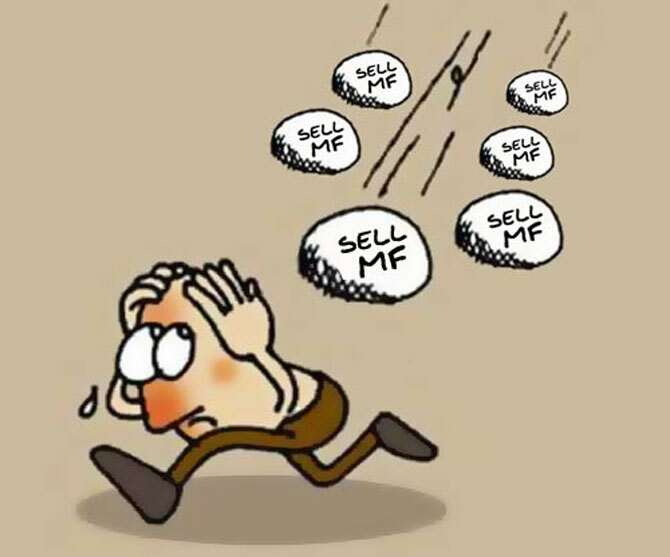 "The events seen during this year have created panic among corporate and large-ticket investors, who have pulled out a large part of their investments from liquid schemes following the IL&FS crisis," says Raj Kumar, CEO, LIC Mutual Fund. "Further," he adds, "the rise in interest rates and weak equity markets have led to mark-to-market losses." Liquid schemes -- used by corporates and institutions to park surplus funds -- have seen ouflows of above Rs 1.3 trillion since September. "The one-year returns have been negative. The ban on upfront commission has also dented sales," says a senior official of a fund house. Assets managed by income and liquid schemes stood at Rs 11.8 trillion, accounting for over half the industry's assets.